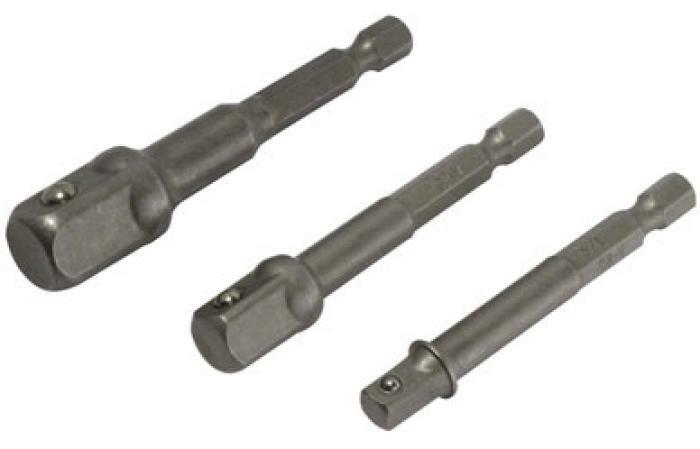 "Tool adaptor set - 3 piece" has been added to your cart. 3 piece set of Power Extension Bit nutdriver adaptors is ideal for power or hand driven tool use with socket wrenches. 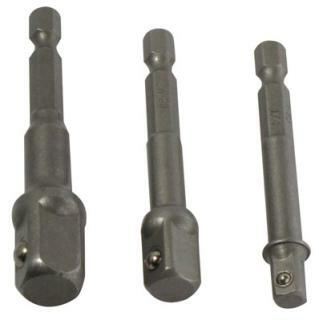 Fits all drivers or drills with 1/4 inch hex bit compatibility. Features ball bearing lock mechanisms to secure socket.